SPORAH TV: "IF YOU WANT TO GO INTO POLITICS DON'T THINK ABOUT MONEY" The Mayor Of Enfield Council, London . "IF YOU WANT TO GO INTO POLITICS DON'T THINK ABOUT MONEY" The Mayor Of Enfield Council, London . Sporah Talking To The Mayor Of Enfield Council, London: Councillor Kate Anolue. Nigerian Born Councillor Kate Anolue. 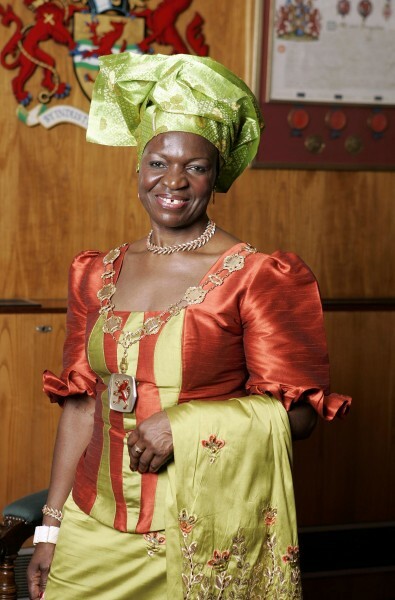 A Nigerian born Councillor Kate Anolue is the new Mayor of the London Borough of Enfield in the United Kingdom. 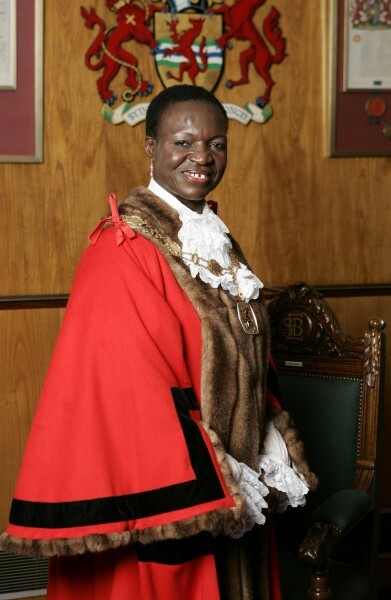 Councillor Anolue, who served as Deputy Mayor last year took over from Councillor Christiana During. Councillor Anolue represents Upper Edmonton Ward and was first elected to the Council in 2002. In an emotion laden voice the new Mayor said, ‘I wish my father and my husband were here today to witness this event, but I know they are up there looking after me. Unfortunately again, my mother could not be here, but I know she is with her Rosary somewhere praying for me’. The new Mayor said she will use her tenure to raise money for the E18HTEEN Project which supports teenagers between 16-19 in Enfield, Barnet and Haringey who are about to leave care to lead independent lives. Councillor Kate, a widow who single-handed brought-up 4 children who are today gainfully employed. She is a real inspiration along with her family. Good luck with all you will yet do, Ms. Your both true role model. Single parents are this and that..! I love you Sporah, where are you from Originally. You are truly a mentor, I love you. May the Lord be with you and your family. Amen! nice interview. i like sporah's style.